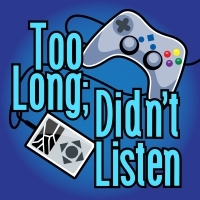 Too Long; Didn’t Listen episode 59 is up! To underscore a discussion on chat-free MMOs, this edition of TLDL will be presented entirely in silence with subtitles. Actually, we would have done that, except that it’s completely silly and rather hard to transmit subtitles over an MP3 file. So just imagine that our discussion is actually you imagining us reading subtitles out loud. Two topics in 30 minutes or your next podcast is free. You know you would listen to all this if it just wasn’t so… long! Listen to episode 59 here! Next Article Poll: What MMOs and MOBAs did you play in March?